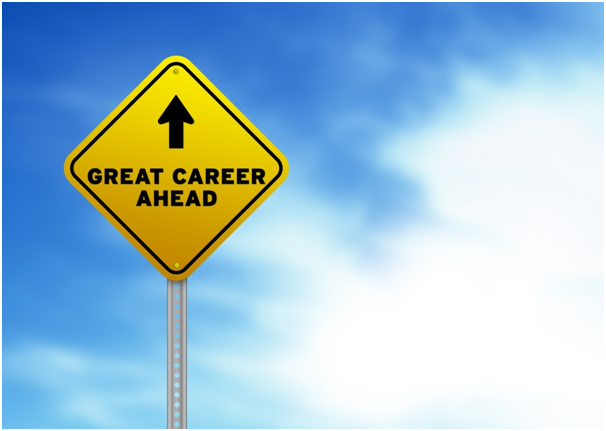 Have you ever been in a dilemma of whether your selected career option is the right one? Many of the students are not sure of the careers they select, they find it stressful at times to know that this is going to be the field they will have to work for the maximum years of their lives. Although the first step of selecting the career is not an easy one, the real difficulty comes in gaining the confidence of your choice. Many students opt for a career according to their parents’ wishes and some others fall into the traps of peer pressure. So, is there a way to know whether the selected career option is the right one? Based on our studies and researches, our counsellors come up with the following points which can help the students to know whether they have selected a suitable career or do they need to rethink their decision. Does the idea of your career interests you? The it students who are more satisfied with their selected career option are more interested in knowing all the areas of their career. They try to explore different facets of their selected career. When in the grade 11th/ 12th, you select a career, there is multitude of options for you to carry forward in the same career. Your interest is reflected by your curiosity to know more about different options. The idea of a career is to find something that you can do for the almost whole of your life and if that option does not interest you now, how you can sustain with that option for the entire life? A student needs to introspect and find about his/ her understanding of the idea of following the same for several years. Does your personality traits match the selected career? Do you like to work along with people or alone? Do you prefer working in the leadership roles or a follower role? Do your think yourself as who needs a perfect routine or regular changes? Do you like to work in one place or in different places? These are just some example questions; however, you need to ask yourself questions which can bring out the real traits of yourself and can answer you if you are suitable for the selected career. Do you have skills for the selected career? Some students think, they just need to explore options which can give them a comfortable future, however, they forget that in any career, to lead a comfortable life, you need to struggle a lot in the beginning years. The struggle is eased down when you have skills that can help you grow in your field. You need to think about your hard skills such as computer programming or foreign language fluency and the soft skills such as teamwork, leadership skills etc. Considering your positives and negatives, you should try to explore the areas in which you can make an effort to excel at them and the areas which are beyond your reach. Accordingly, you need to make your career decision. This kind of exercise can give you a confidence and a better understanding towards your career. What education and coaching will you need? The next step towards gaining confidence in your choice of career is to gain knowledge about the kind of coaching you will require to excel in your field. For the same career, this could be different for different students based on the skills they already have. It is possible that you will need to take an additional coaching or you can take scholarship tests in your field. You need to research what degrees, diplomas and certifications you will require to gain a strong platform in your selected career. What is the scope of your career? This is one of the most important things to realise whether there is any scope for the selected career or not. With changing times, the demand for skills keeps on changing and you can’t just follow the traditions and base you understanding on out-dated information. For example, in today’s banking sector, there is much use of computers for all the day to day activities. A banking professional may need to have an understanding of financials but it might not be required that he will be doing that manually. If a student does not improve his skills in computer, he might not be able to take maximum benefit from his career. A student needs to seek answers to the following questions to understand the scope of his selected career. Is the demand of my selected career increasing since past few years? Is the technology supporting my career? Are my current studies in relevance to the changes my career field is facing? Do employers show interest in this profile? These are just a few basic questions that you need to ask before you continue your journey to the career option that you have selected. You may take help of a career counsellor and take tests such as psychometric test and ideal career test to gain confidence in your selected field. The main aim should be to take an aware decision instead of following either the gut feelings or the peer pressure.